I belong to a group of ladies that at one time all of us worked at the paper together. Some of us have stayed, some have moved on, some have moved on and come back. But we all have enough years together, have seen each other grow from fresh out of college to parents, beat reporters to editors, single to married. (I believe I am the only one who hasn't grown up at all. :} ) It is always a back-and-forth to find a date that works with all out schedules. (What did we do before FaceBook?) And up until now we have always done a night out. Back in the day we would actually go out, dinner and dancing in Philly. But as the years have gone by, and we don't see each daily, it has become a time to catch up around a table with wine and a potluck. 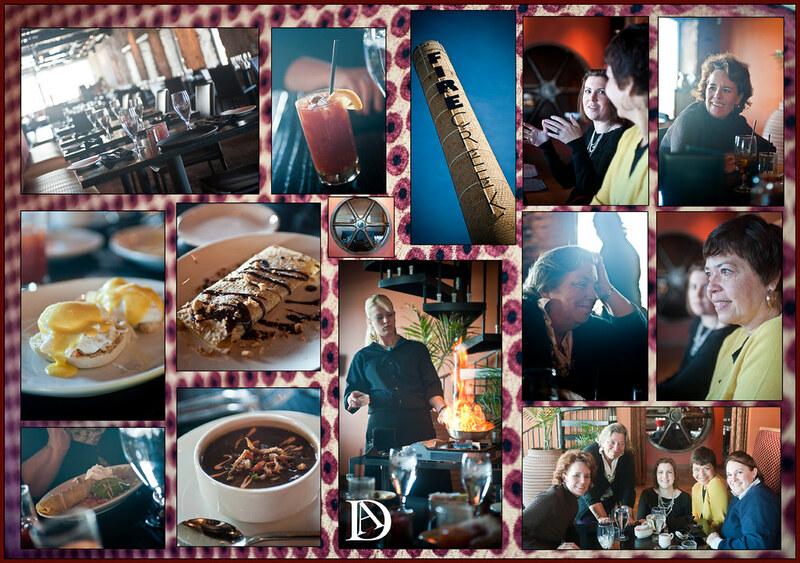 This time we scheduled a brunch at Firecreek Resturant in Downingtown, PA. While not the most centralized location for all of us, those of us who had been there before recommended it, and the most savvy of us had a coupon! Sadly we were one short due to a death in the family. But we toasted her, laughed, told stories about crazy family get togethers, and made plans for the next time. Most importantly, by the end of the time together it is like we see each other every day.